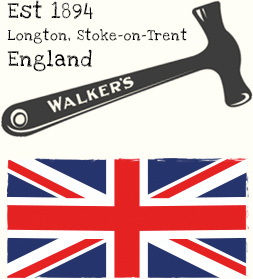 From the heart of the Potteries in Longton, Stoke on Trent, Walker’s Nonsuch is one of Britain’s oldest makers of traditional toffee. From humble beginnings they have grown to be a favourite all around the world. Serving the sweet tooth of local people, Edward Joseph Walker, a former potter, and his sister Florence opened a tiny sweet shop in Longton. He began making toffee in the late 19th century and developed his own special recipe which he kept a closely guarded secret. It was such a success that he went on to open a small factory to meet the ever-growing demand for his tasty toffee. 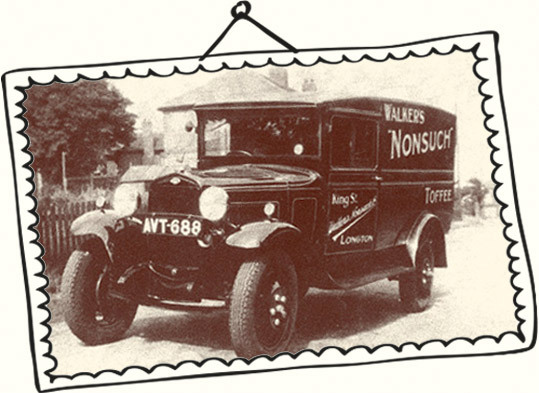 When his son, Edward Victor joined the family business in 1915 they continued to make delicious toffee to the original recipe and as the business grew Walker’s Nonsuch was launched and became a limited company in 1922. As time passed the industrious toffee makers flourished and moved to larger premises. In 1962, ambitious brothers Ian and Edward took over and set about expanding. With new equipment and the special family recipe, the company’s reputation grew from local to national and then to international. In 1981 Edward sadly passed away leaving Ian at the helm for 36 years until his death in December 2017 after completing 60 years of service. Today the Managing Director is Adrian Hill who has worked at the company for 34 years. Working alongside him are Ian’s daughters Katie and Emma along with nephew Edward who are key members of the team along with Jonathan, Jamie and Jessica, the latest generation to join.